One of the greatest gifts we can give our children is the ability to discover things for themselves. They need the specific knowledge that we can pass on, of course, but also the curiosity and drive to make their own discoveries. Those that will succeed are not those that know all the answers (impossible!) but those that can find the answers. Which brings us to our local library. Or, as I like to think of it, a child’s portal to the world. The library is such a rich resource, with so many materials available at our fingertips: everything from books and CDs to movies and more. But if you’re anything like us, you and your kids probably spend most of your visit in the children’s room, playing with toys and browsing the picture books. 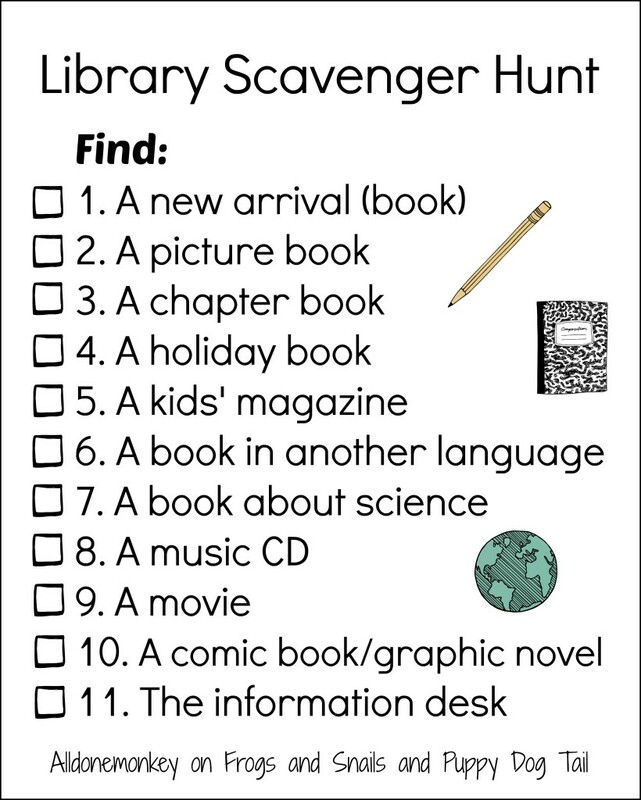 So recently I decided it was time to introduce my five-year-old to what was available in the rest of the library by sending him on a scavenger hunt. I included a few items that I knew he would be able to find right away, like a picture book and a chapter book, but also others that he did not even realize were in the library (like music and movies). 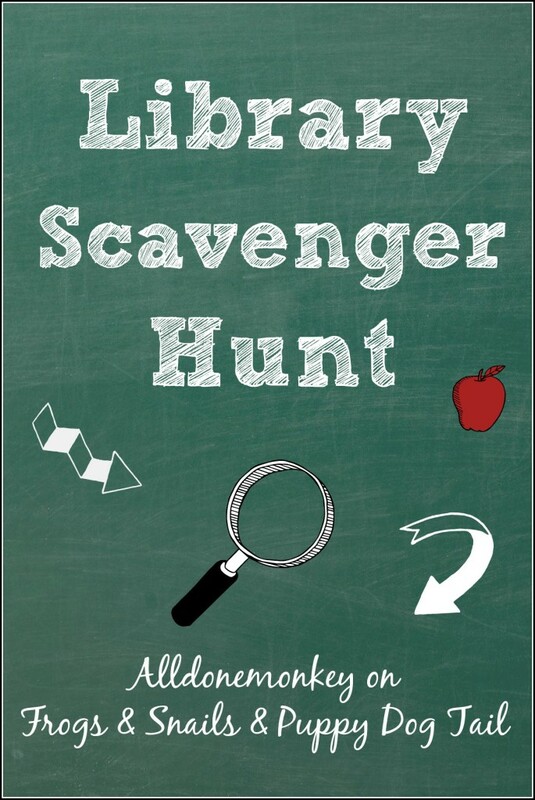 Scavenger hunt at the #library! As you move through the list below, help your child learn not only the where the item is located, but other clues he can look for. For example, in our library the children’s holiday books are gathered together on one bookshelf, but they are also identifiable by special stickers on their spines, such as an Easter bunny or a pumpkin. This is also a good time to introduce the concepts of fiction and non-fiction, if they have not encountered it already. But most importantly, fuel their curiosity and wonder about just how much there is too explore at the library. They may discover a new favorite section! I was pleasantly surprised at how much my son enjoyed looking through the science section, for example – I had to stop him from trying to put armfuls of the books in our basket! Right click on the image above to save and print your own copy! Leanna is a stay at home mother to two sweet, funny, rambunctious boys. She draws inspiration from the Writings of the Bahá’í Faith and tries to raise her Monkeys in a fun, spiritual, loving environment. 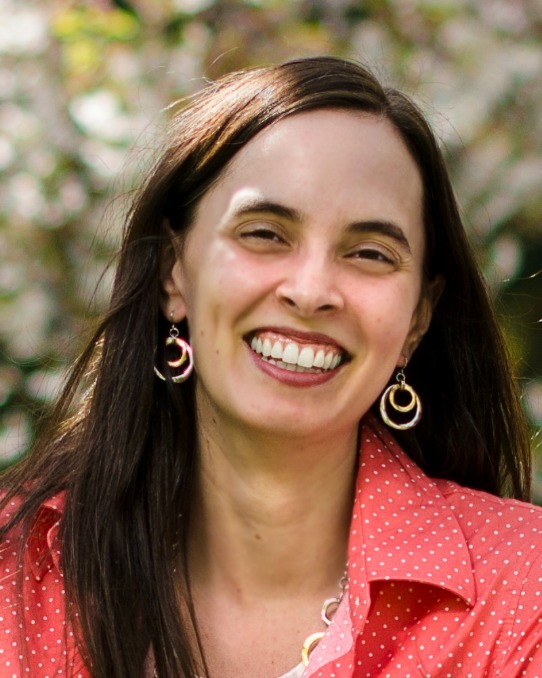 She and her husband, who is from Costa Rica, are raising their boys to be bilingual and bicultural but more importantly to be “world citizens.” All Done Monkey is dedicated to sharing this journey with you! Leanna is the co-founder of Bahá’í Mom Blogs and founder of Multicultural Kid Blogs.